Born in October 1941 thanks to DC Comics, the superhero story of “Wonder Woman” has resurfaced again in a global movie phenomenon directed by Patti Jenkins. It grossed over $100 million the opening weekend on June 2! 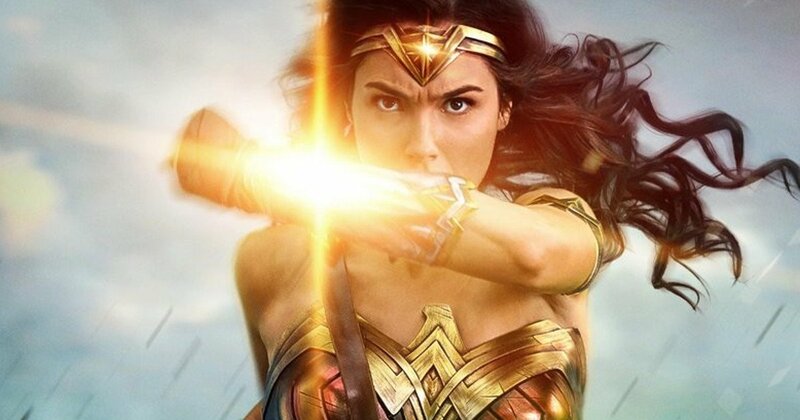 While Wonder Woman's character development came from William Moulton Marston, he drew inspiration in part from the suffragists and Margaret Sanger, founder of Planned Parenthood. And he was no saint; Marston enjoyed relationships with his wife and a mistress. Regardless of your political views, the movie’s message with Diana Prince, Wonder Woman's alter ego, is one of power, grace, wisdom, bravery, and love --most timely for a world gone “upside down” as I say. There’s no spoiler alert needed if you want to read more. Already, much has been debated about Wonder Woman’s feminist/non-feminist attire. More importantly, consider her breastplate which covers and protects her heart. It’s essential to do this in the outer world as she does, and also for your inner world. And let’s face it. You’re judged by appearances. In fact, some contend that opinions are formed in a tenth of a second for you to make an impression. Just be aware. Perhaps your message doesn’t align with what you wear. Perhaps it does. A mantra that helps me with the decision of what to mindfully wear comes from Abraham-Hicks: “What you think of me is none of my business.” What I wear does matter to me. 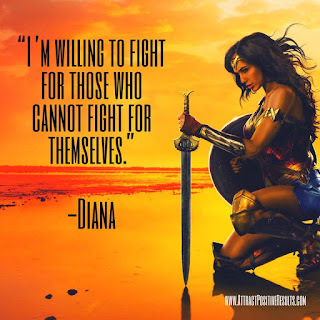 Clearly, Wonder Woman has adopted the same mantra and attitude! Your First Choice: What "costume" will you mindfully choose to wear today? Perhaps it's time for an internal make-over and/or an external make-over of wardrobe, hair, and make-up. Your Second Choice: What authentic truth might you tell yourself and others? Who might you want to lasso? Thank you, Max Ryan, for this inspiring meme! Like Campbell, you are a messenger with a story to tell. Perhaps you do this informally. Or perhaps you pursue storytelling as a writer, author, poet, blogger, podcaster, or script writer. In this case, “The pen is mightier than the sword,” said author Edward Bulwer-Lytton. Your Third Choice: With your mighty pen, what powerful story might you now write? Wonder Woman’s metal cuffs are used to absorb and deflect the impact of incoming attacks. Perhaps you recall the phrase, “Talk to the hand.” Same idea. Sometimes it’s important to pause before rushing ahead in the business and busyness of life when you can’t absorb any more drama or bad news. 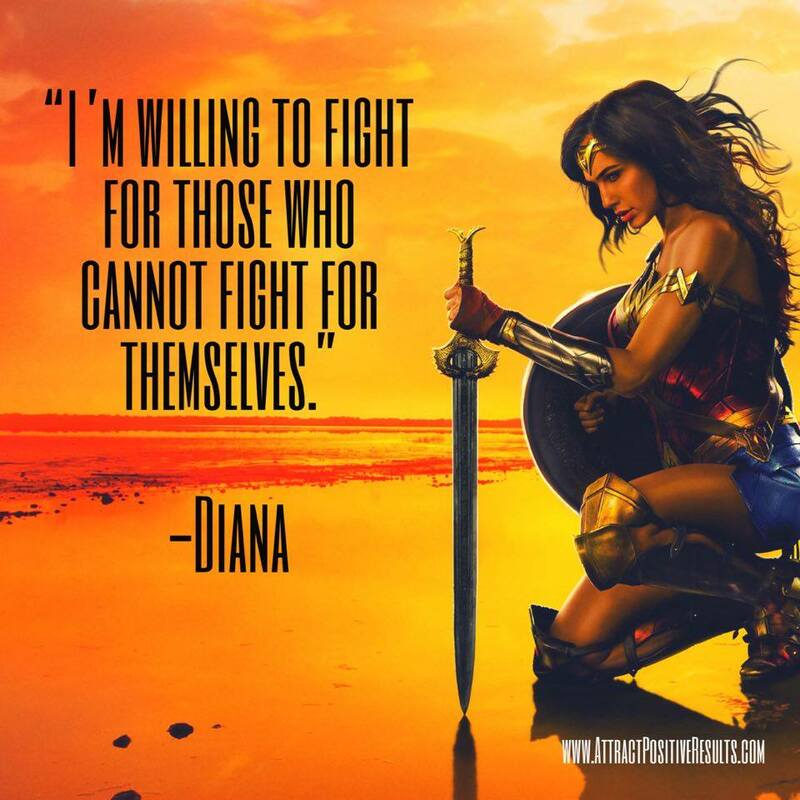 Sometimes it’s wise to stop and become like “Wonder Woman Teflon” to deflect the words and actions of haters, naysayers, and critics. Sometimes, you just have to throw up your hands in submission to surrender since control is an illusion of the ego. Your Fourth Choice: What and how will you surrender to better experience expanded creativity, peace, and love? Her two shields were virtually indestructible and durable. They were used as defensive protection against attacks and also used to deflect anything as an offensive weapon. Your Fifth Choice: What will you defend that’s sacred to you? What will you deflect so that you are not part of the problem, but rather part of the solution? “I used to want to save the world, to end the war and bring peace to mankind. But then I glimpsed the darkness that lives within their light. I learned that inside every one of them there will always be both. The choice each must make for themselves - something no hero will ever defeat. 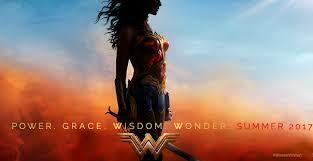 What choices will you make being a woman of wonder? Ultimately, will you choose love? Special thanks to Max Ryan for this inspiring meme! P.S. Your special invitation with 22 other wonder women awaits you! Why not join me at the St. Pete Writing Retreat: ReNew Your Body & Creative Soul, October 29-November 3? The first 7 women to register by June 26 receive fabulous bonuses like a coaching session with Bryna Rene Haynes, Editor for Inspired Living Publishing. **Early bird pricing closes on July 15! P.S.S. We're also dressing up as our favorite Wonder Women to celebrate All Hallow's Eve. Beautifully conceived and written--thank you! Enjoyed every word. Have not seen the movie--now I will. Blessings to you! Thank you for your kind words. Best of all is that you're now going to see the movie! I'd welcome hearing what you think once you have, Therese. You, too, are a wonder of a woman. Wonder Woman is a woman (much needed) for our time. Thank you for bringing out such positive aspects of the movie for me to watch for when I see it. <3 Excellent blog! Thank you, Camellia Stadts, for your kind comments! Let me know when you see it so we can chat more. Lore - you creative rascal - this is a wonderful post. Love every word and am so impressed by it and you! Thank you, Janet! I will soak in these kind words. Touched that it made this impression. Have you seen the movie yet? Ahhh, you're so funny, Mig. I think WONDER WOMAN is every woman's secret identity. It's just that some of us, like you, know this more than others. Have you seen the movie yet? I think Paul would enjoy it though there IS violence since it's set in World War I.
I'm in the middle of several wonderful, challenging projects and especially enjoyed your description of the bracelets of submission. Thanks! Andrea, happy that you enjoyed the description of the bracelets. Best wishes with all those projects! 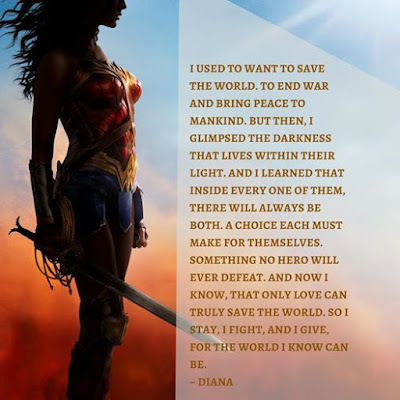 I love this blog Lore and Wonder Woman's mission to transform the world with love! I passionately embrace this mission too as well as your highlighted lessons. Thank you for this inspiring post! Happy this touched you, Kelley, as I know her mission of CHOOSING LOVE is shared and expressed through the important work you do! Thank you for commenting an Tweeting. Appreciated. Happy to hear you're going, Jenny! And yes, that would be lovely if you could share this blog post with them now...or whenever. Looking forward to hearing what you think and how the movie matched/didn't matched what I wrote. ENJOY! Wonder Woman was always one of my favoritrs. As a girl I felt my own power when I watched her maybe that's why I use my pen in support of those who don't have any. It comes as no surprise that you picked up your mighty pen, Barb! Your have a special gift of storytelling. OK, now I really have to go see the movie. I love how you connected the movie and universal truths and then into very practical things we can each do. Thanks, Rachel, for your kind words. Happy that you're going to see the movie. I might just go a second time to soak it all in. There's LOTS of information an symbolism there. Nice! I saw the movie, and now ready to go again! Thank you. didn't know BEFORE seeing it. No surprise that WW's message of love resonates with you, Suzie! You and Des are sure to enjoy the movie. Lore, I absolutely LOVE your take on the Wonder Woman within each of us and the movie ofcourse. I'm yet to watch it, but I already love all the loving energy it is creating around the world. Thank you, Zeenat! Yes, her message of women's empowerment IS rippling around the world...and your message of love, too!